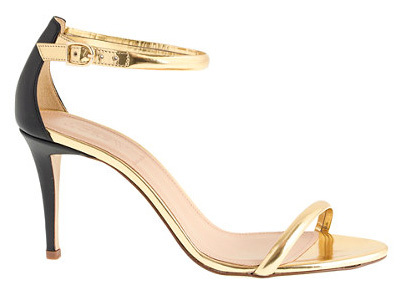 I foresee a whole lot of merrymaking in these gorgeous and greatly versatile gold sandals. Bought these shoes yesterday! Love love them. I like that the heel is wearable and not crazy. I have had very good luck with the items I have bought from your posts. You have a great eye and I love the mix of high and low. Perfect for me. The heel is perfect for nights out dancing with friends!